Apple may be touting the release of its iPhone OS 3.1.3 update this week, but new research shows the iPhone is actually starting to slip when it comes to smartphone market share. The shift is no big surprise -- analysts have been expecting the iPhone to begin losing its stronghold to Android for some time now -- but this is one of the first concrete signs suggesting the trend may actually be upon us. The new numbers come from ABI Research, an analytics firm based in New York. ABI measures sales of smartphones from quarter to quarter and works with manufacturers to ensure its data is in line with the companies' own estimates. 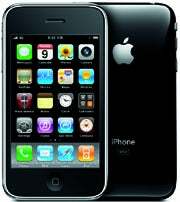 According to ABI, Apple's iPhone accounted for 18.1 percent of global smartphone sales in the third quarter of 2009. In the fourth quarter, that number dropped to 16.6 percent. The change itself isn't enormous, but what's noteworthy is that, while Apple's sales grew between the third and fourth quarters, they failed to keep pace with the 26 percent increase in overall smartphone sales during that time. "We're getting to a point where the iPhone is starting to look a little tired, a little dated," ABI's Kevin Burden tells me. This is Apple's first quarter-to-quarter drop in smartphone market share in two years, ABI's research indicates. The last time the iPhone suffered a loss was in late 2008. The company seeing the biggest growth in the fourth quarter of '09, not surprisingly, was Motorola. No doubt fueled by the debut of the heavily hyped Droid smartphone, Motorola shot from nowhere all the way up to 4 percent of the global market. The real threat for Apple, however, isn't any one phone or competitor; it's a platform that spans numerous devices, manufacturers, and carriers. Android's versatility is a key reason why the mobile industry anticipates it coming out on top in the smartphone smackdown. Given the fact that any company can take the software and build its own unique creation, the options are practically endless. Apple, of course, isn't done innovating; one way or another, a new iPhone is bound to hit the shelves before long. The question, though, is whether one new phone is enough to remain a top competitor in the modern smartphone landscape. it's a multiple device world," Burden says. "There is yet to be one phone that can meet the needs of every user out there, despite how much Apple wants its product pushed in that direction." Some research released last month supports that notion: Independent analysis firm ChangeWave Research found the number of people planning to buy an Android phone is skyrocketing, while the crowd eyeing the iPhone is slowly but surely slipping. And with the huge number of Android devices expected to ship in 2010, choice -- something Apple's strategy tends to shun -- certainly won't be a problem. So the game, it seems, is on. For anyone passionate about smartphones, 2010 promises to be one interesting year.